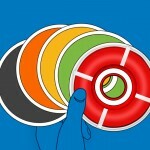 A rescue disc can be a life saver for a SysAdmin. Packed with various diagnostic and repair tools they can do things like fix a Master Boot Record (MBR), recover a password, detect and clean a rootkitor simply allow you to salvage data by transferring it from a damaged drive to another location. Here are the best all-in-one Bootable CD/USBs that admins can use to troubleshoot and repair a Linux or Windows system – all handy additions to your toolkit. The tagline for Hiren Boot CD reads “a first aid kit for your computer” – and that it is! Hiren Boot CD is one of the more popular Rescue CDs out there and contains a wealth of tools including defrag tools, driver tools, backup tools, antivirus and anti-malware tools, rootkit detection tools, secure data wiping tools, and partitioning tools, among others. Hiren Boot CD is available to download as an ISO for easy installation to a USB or burning to a CD. The boot menu allows you to boot into the MiniXP environment, the Linux-based rescue environment, run a series of tools or boot directly from a specified partition. The MiniXP environment, as shown in the image below, is much like a Windows XP desktop. Everything pretty much happens from the HBCD Launcher (a standalone application with a drop down menu containing shortcuts to the packaged applications). FalconFour’s Ultimate Boot CD is based upon the Hiren Boot CD with a customized boot menu and a whole bunch of updated tools thrown in. F4’s UBCD contains tools that provide system information, tools that recover/repair broken partitions, tools that recover data, as well as file utilities, password recovery tools, network tools, malware removal tools and much more. 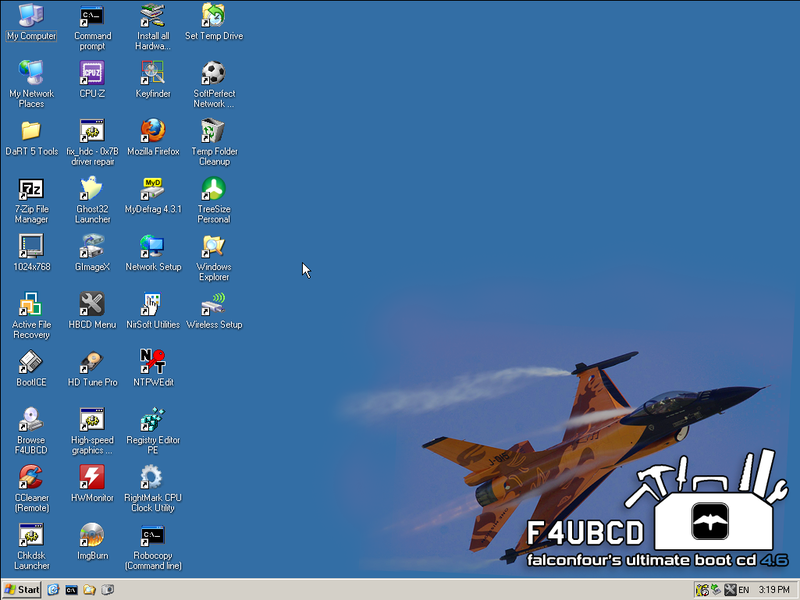 F4’s UBCD is available for download as an ISO file so you can burn it to a CD or use it to create a bootable USB drive. 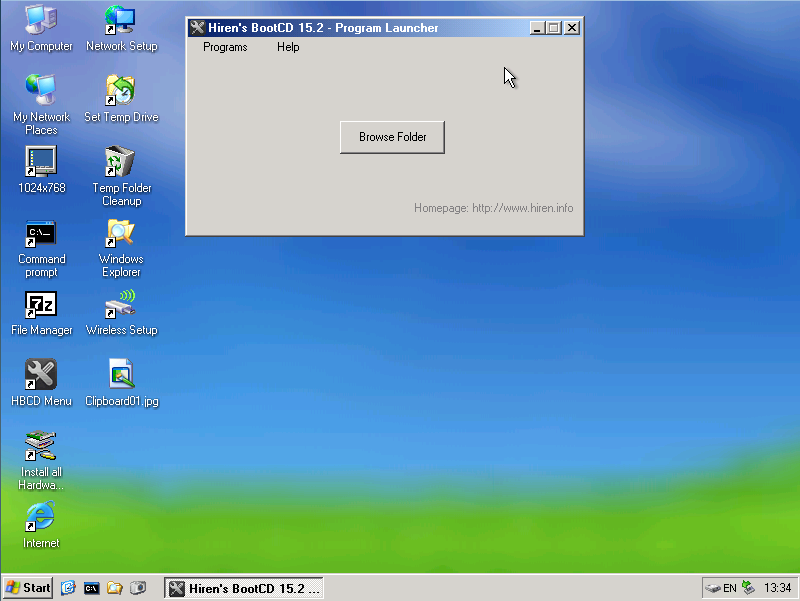 Similar to Hiren Boot CD, when you boot F4’s UBCD you are presented with a menu giving you the option to boot into a Linux environment, the MiniXP environment or run a series of standalone tools. As you scroll through the menu, a description of each item is given at the bottom of the screen. Similar to that of Hiren Boot CD, the MiniXP environment is much like a Windows XP desktop environment, only it’s really lightweight and is pre-packed with a host of diagnostic and repair tools. Once the desktop has loaded up, choose from one of the available application shortcuts, launch the HBCD Menu or go to the Start menu to get going. 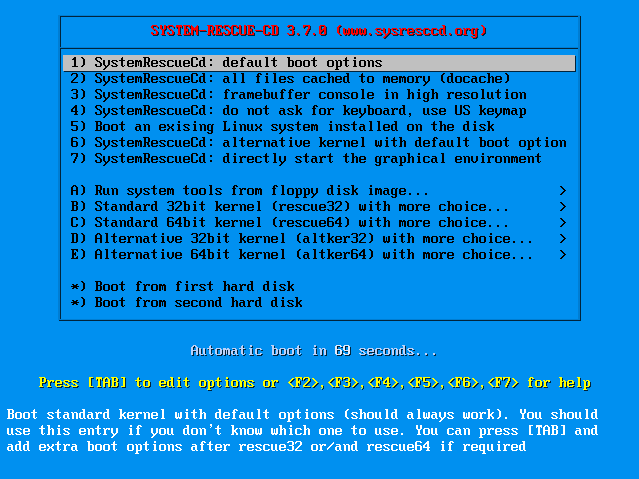 SystemRescueCD is a Linux-based package for troubleshooting Linux and Windows systems. The disc contains antivirus, malware removal, and rootkit removal tools as well as tools to help manage or repair partitions, recover your data, back up your data or clone your drives. SystemRescueCD supports ext2/ext3/ext4, reiserfs, btrfs, xfs, jfs, vfat, and ntfs file systems, as well as network file systems like samba and nfs. It also comes with network troubleshooting, file editing and bootloader restoration tools. SystemRescueCD is available for download as an ISO file so you can burn it to a CD or use it to create a bootable USB drive. When you boot the SystemRescueCD, the pre-boot menu gives you a multitude of options, allowing you to boot directly into the graphical environment or the command line. 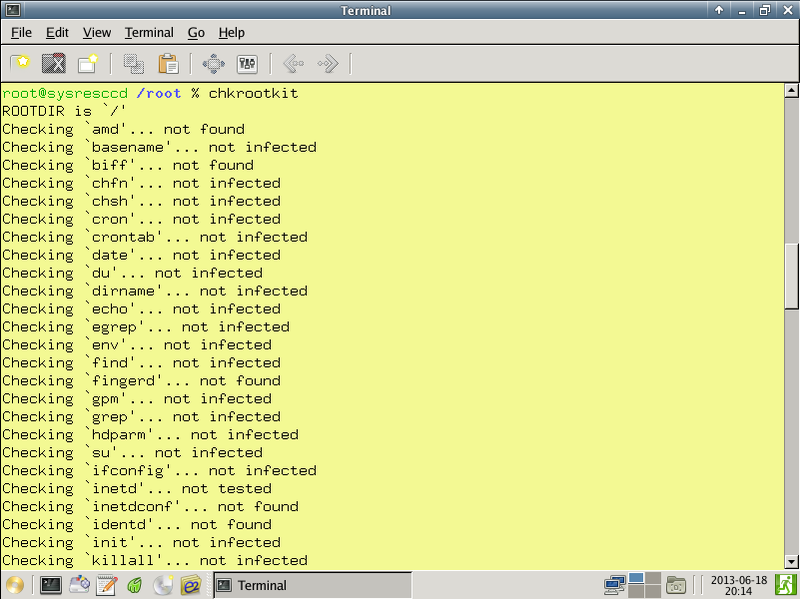 In the image below, I have booted into the graphical environment and started the chkrootkit application from the Terminal window which searches for rootkits installed on the system. Other applications can be run directly from the terminal in a similar fashion, using arguments and parameters as necessary. Ultimate Boot CD is designed to help you troubleshoot Windows and Linux systems using a series of diagnostic and repair tools. It contains anything from data recovery and drive cloning tools to BIOS management, memory and CPU testing tools. UBCD is downloadable in ISO format for easy installation to a USB or burning to a CD. Note: UBCD4Win (http://www.ubcd4win.org/) is UBCD’s brother built specifically for Windows systems. When you boot with UBCD you are presented with a DOS-based interface that you navigate depending on which system component you wish to troubleshoot. The Trinity Rescue Kit is a Linux-based Rescue CD aimed specifically at recovery and repair of Windows or Linux machines. It contains a range of tools allowing you to run AV scans, reset lost Windows passwords, backup data, recover data, clone drives, modify partitions and run rootkit detection tools. The Trinity Rescue Kit is downloadable in ISO format for easy installation to a USB or burning to a CD. The boot menu gives you the option to start TRK is different modes (useful if you’re having trouble loading in default mode). Once you get to the Trinity Rescue Kit ‘easy menu’, simply navigate through the list to choose which tool to execute. You can also switch to the command line if you want more flexibility and feel comfortable with Linux-based commands. Boot-Repair-Disk is a Rescue CD primarily designed for repairing Linux distributions but can also be used to fix some Windows systems. It automatically launches the Boot-Repair application (a one-click repair system) which is used to repair access to operating systems; providing GRUB reinstallation, MBR restoration, file system repair and UEFI, SecureBoot, RAID, LVM, and Wubi support. The Windows System Repair Disc lets you boot into the Windows Recovery Environment, giving you the option to detect and fix startup and booting issues, restore to a workable restore point (if you had System Restore enabled), restore the entire machine from a backup image, conduct a memory diagnostics test and use the command line to run utilities like chkdsk. Additionally, Linux distributions such the ones found below are lightweight bootable versions of Linux that contain a host of handy tools to fix common problems, recover data, transfer data, scan for viruses, manage partitions, etc. Although primarily targeted to help with systems that are infected with malware, they are worth adding to your arsenal. 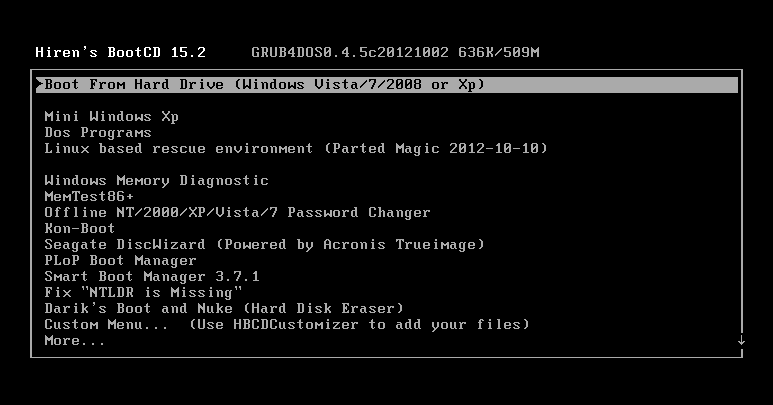 If you want more flexibility, why not create or customize your own bootable rescue disc? Using applications such as YUMI (Your Universal Multiboot Installer) or UNetBootin, you can create a multi-boot USB drive containing several operating systems, antivirus utilities, disc cloning, diagnostic tools, and more. In addition to YUMI and UNetBootin, you may also wish to consider SARDU (http://www.sarducd.it/) and Rufus (https://rufus.akeo.ie/) as recommended by some of our readers. If you are using a Linux-based Rescue CD / Live CD, you can use an application like Live-Magic (for Debian-based Linux distributions) or Remastersys to create a bootable ISO of an already installed Linux OS. The idea would be to install a clean build of Linux, add or remove applications and make any customizations as necessary and then run the above mentioned applications to capture the build into an ISO. Alternatively, instead of using an application, you can use a series of shell scripts to do the same thing. Check out http://www.linux-live.org/ for more information. SARDU is another excellent tool and allows you to customize the disc you create with the tools you use most. Will this work on Windows 7 Ultimate? 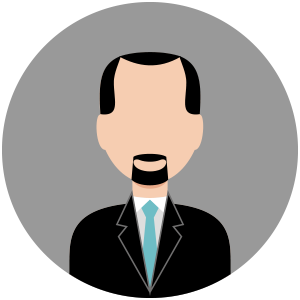 @Matthew Thomas – Many thanks for your feedback! @Don M – Thanks for sharing. I had not come across this application before you mentioned it. Looks good! @Gary – Are you asking about SARDU working on Win 7 Ultimate? If so, I’ve just tested it out now and it seems to install and run fine (see http://tinypic.com/r/30l0wb4/5). Don M might be able to chip in with his own experience too. Heya! Love from FalconFour himself here 🙂 Thanks for sharing – Googled myself and saw this come up! Still maintaining it on-and-off, got a job fixing computers (hell yeah, long as it barely manages to pay the bills…), keeping an ear out for bigger things yet to happen. Hope everyone enjoys the disc – and if any problems come up like the v4.6 BSOD, I’m still here making patches (like v4.61 which fixes that BSOD). Mini 7 is on the radar next, which may also evolve into a three-part DVD/CD/Mini system. Only Mini7 is in pre-beta work now on my development version (a.k.a. the one on my keychain) for the v5.0 release. Love the Falcon 4 Disc…use it all the time!!! Thanks Matt Falcon! @Matt Falcon – Nice to hear from you! Thanks for the feedback and update. Great list here! Having rescue discs are very crucial – and of course it’s great if it’s free! Thanks for this list, I’ll have to check some of these out just in case. somebody plesae tell me which one is good for sony vaio laptop with amd support. You will require eliminating the hard disk from the scheme component in order to mount it in the external enclosed space. GREAT WORK DOOD….VERY HELPFUL ARTICLE….!!!!!!!! !